If you are experiencing dry lips, itchy skin, cough, sinus problem, cracking of wood furniture and musical instruments, then it is the time to buy a humidifier as it keeps your room or surrounding moist. Sometimes the dry weather makes the breathing difficulties that lead to other health issues. Cool mist humidifier forces out vapors that cool the temperature of the room. There is two types of cool mist humidifiers; ultrasonic and evaporative system. It is available in different sizes with various features, pros, and cons. It is observed that in a dry area static electricity forms that are very irritating and make the scalps dry. The Cool mist humidifier is the only solution to these problems. It is recommended that before buying a humidifier, one should check the humidity of the house with the help of hygrometer. 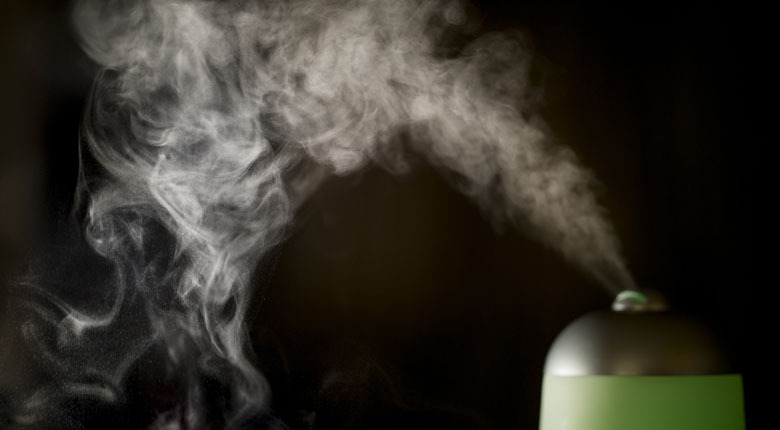 Take a look at the top 10 Best cool mist humidifier. Effectively humidifies up to 650 sq. ft. Eliminates the growth of mildew and mold. Crane Drop Shape Ultrasonic Cool Mist Humidifier gives you the output of 2.3 gallons per day with the input of 1 gallon of water that is good enough for the room of 250 square feet. After a day, you can refill the water easily by opening the cap of the tank. In ultrasonic cool mist humidifier, filter for demineralization is available. It has an output nozzle of 360 degrees, automatic shutoff sensor, and variable control settings. It changes the cold water into a cool mist that amplifies the moisture and provides relief from nasal congestion, rough lips, and dry throat. It not only helps you get rid of these problems but also protect the cracking and peeling of furniture and wallpapers. Air-O-Swiss AOS 7146 Ultrasonic Cool Mist Humidifier is good for travel as it is lightweight. So, you can take it with you anywhere to feel the moist air. It has a built-in indicator that shows the level of water and an automatic shutoff system. You can also place it on your office desk and work in a happy environment. Air-O-Swiss Ultrasonic Cool Mist Humidifier has an exchangeable plug and a transcontinental AC adapter. It gives the output of 1 gallon in a day; of course, you can refill the water if you want to keep it working. Safety 1st Ultrasonic 360 Humidifier is available in stunning design and two attractive colors; red and blue. It moist the surrounding and make the environment happy, while eradicating dryness. You can have the liberty to set the humidity level of this ultrasonic 360 humidifier according to your desire. As it is an ultrasonic humidifier, it means no need to replace the filters. In case of the empty tank, it has an automatic shutoff that works as a safety function; it means you have to refill the tank. PureGuardian H920BL Ultrasonic Mist Humidifier has the protection of silver clean that eliminates the growth of mildew and mold. It also features the setting for low and high-quality mist and soft glow light that can be turned off. It doesn’t make noise so that you can sleep well in a quiet environment. It works 10 hours a day, and after that, you have to refill it. PureGuardian Ultrasonic Cool Mist Humidifier has an indicator that glows when the tank is empty. TaoTronic Ultrasonic Cool Mist Humidifier has an inbuilt micro-porous cartridge that filters magnesium ion, calcium and micro-organisms and gives cool healthy mist. It gives the output of 15 hours a day with the input of 1 gallon that is enough for the sleeping time. It also has some features that include humidity control setting, LED, time setting, and inbuilt water purifier. You will get a peaceful sleep, get rid of the dry and itching skin, and appropriate for all ages. Honeywell presented Germ-free Cool Mist Humidifier that eradicates 99.9% bacteria as it has a technology called patented germ killing chamber. It is good for the medium size room and provides you clean and quiet atmosphere. It is designed in such a manner that it will not get broken and its tank is also safe for the dishwasher. Honeywell Germ-Free Cool Mist Humidifier has the capability to balance the moisture with a system of self-regulating evaporation. It minimizes the static electricity that built due to the dry weather. It comes with a warranty of 3 years. Holmes Smart Home Humidifier HCM388C is unique due to its wifi enabled the system, now you can operate the humidifier with your mobile phones, and for this, you can down the free app and start using it while sitting anywhere. It sends you the alert when the water tank is empty or low, also sends reminders about changing the filters, and keep you updated with the humidity level of your home. You will get 100% filtered air with the output of 6.75 gallons and input of 4 gallons of water. The company gives the guarantee of 3 years. Roolen BR01/W Breath Cool Mist Humidifier offers large fan that increases the efficiency and works on a two-mode technology. It has an automatic humidity level system that tracks the humidity and keeps the air moisture that suits you. You can set it on high mode, low mode and automatic mode for very dry weather, normal or less dry atmosphere, and automatic set humidity level respectively. Luma Comfort HC12B Cool Mist Humidifier gives you an output of 2.5 gallons in a day that is good enough for the area of 650 square feet. This Ultrasonic Luma Comfort Humidifier allows you to sleep in a cool and nice environment with no noise. It has 8 types of mist settings and a pleasant design. You will get a 1-year warranty with this humidifier. Air-O-Swish AOS 7147 Ultrasonic humidifier has a dual system; it can be used as cool mist and warm mist humidifier. It can easily humidify the area of 600 square feet. It has a timer that you can either set on continuous run or 1 to 8 hours, a sleep mode that controls the humidity level for peaceful sleep, and built-in intelligent temperature compensation (ITC) technology. It works on high frequency to provide fine mist, and hydro cell gives freshness to the ultrasonic humidifier. You can get the output of 3 gallons with the input of 1.5 gallons.